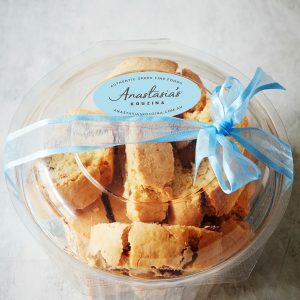 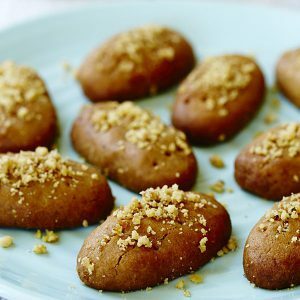 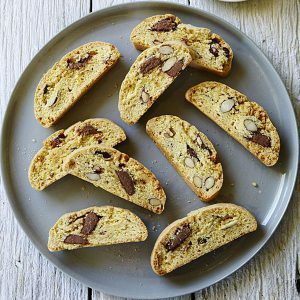 A crowd favourite, these Greek biscuits will literally melt in your mouth and are the perfect edible gift. 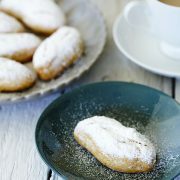 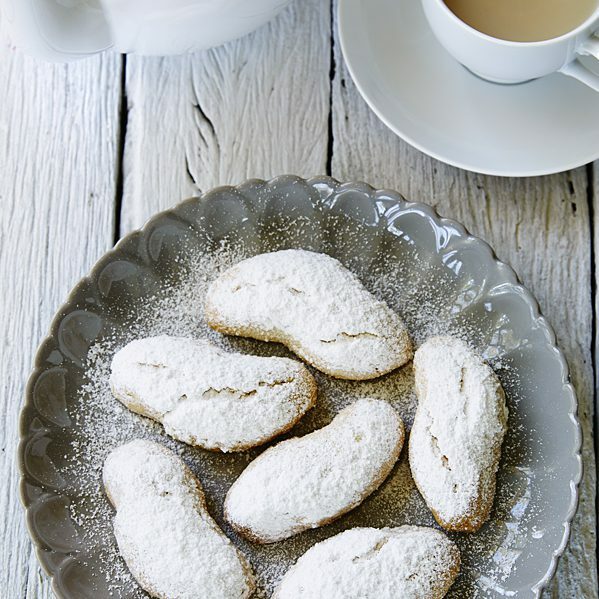 Resembling a light shortbread, kourabiedes are made by kneading together flour, butter, vanilla flavour, and slivered almonds. 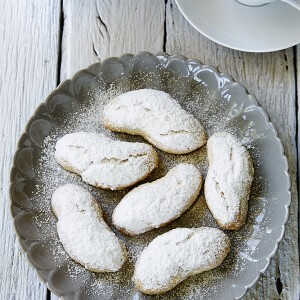 They are then baked and dusted with icing sugar.